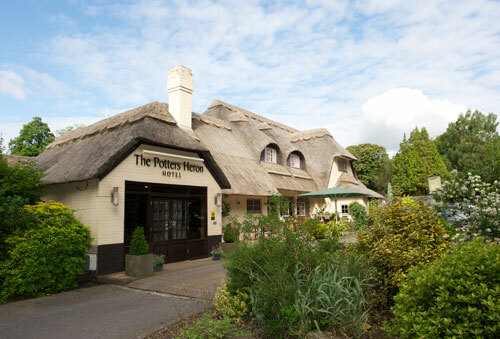 The Potters Heron is one of Hampshire’s local delights offering a blend of traditional cosy countryside with a contemporary twist. Much more than a comfortable and welcoming place to stay, The Potters Heron is also a destination for good food, at any time of the day, and a fantastic venue for weddings, special occasions and corporate events. Perfectly located between Winchester, Romsey and Southampton with easy access to motorways and local stations while still in the heart of the beautiful Hampshire countryside. A striking bar and restaurant contrasting with the thatch. The chef varies the menu seasonally, using fresh local produce to create modern, yet unpretentious, British food with continental influences. With 5 conference rooms, and 3 events suites capable of welcoming up to 200 guests, The Potters Heron isthe perfect event venue, from small intimate meetings to large flamboyant weddings. 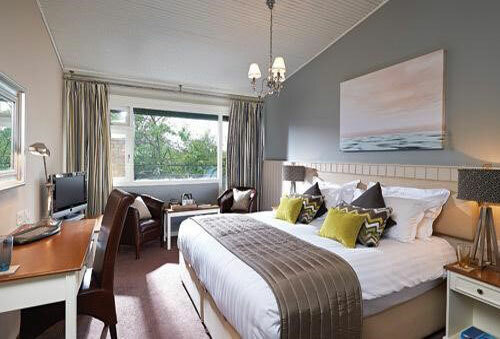 Additional Services: Free WiFi for all guests, private dining, bar, terrace, log fire in the winter, most rooms with balcony or garden access.